Topform have just launched 8 new colours and the reaction to the colours so far is really good. 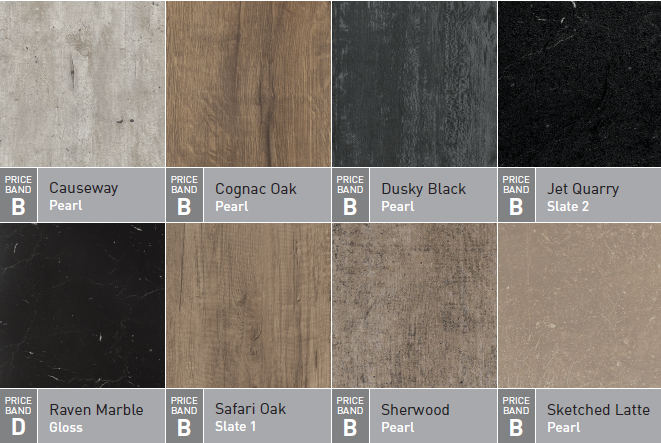 The new colours include the “In Season” rustic wood designs, the ever popular grey and neutral kitchen tones of Causeway and Sketched Latte and a new take on Black with our authentic Raven Marble worktop and Dusty Black, a little something for all tastes. Contact our sales office today to place your orders on lynda@topform.ie or michelle@topform.ie or FreePhone on 1800 947 000.